Take action for historic Fairpark buildings. Historic Administration Building (c. 1920) and former DMV Testing Facility (1967) designed by Utah modernist architect John Sugden. 1) Make direct contact with decision makers. Contact the following people using any of the talking points on the next page by phone, email, or U.S. Mail. Please cc Preservation Utah at [email protected] so that we may track progress. 2) Request to be an individual consulting party under the Utah State Antiquities Act Section 9-8-404. Send an email to Chris Hansen ([email protected]), Deputy State Historic Preservation Officer at the Utah Division of State History, and request to be a consulting party. You will then receive emails requesting comments on pertinent information that is made available to the public and invitations to meetings that fall under the Section 404 review. 3) Write a letter to the editor of any newspaper. 4) Share your opinion on personal social media accounts. Help us spread the word quickly by using the hashtags #savehistoricfairpark and #preservationutah. 5) Join the Preservation Utah email list. Visit our home page and sign up to keep up to date on the latest with this issue by subscribing to our free e-newsletter. Recently, plans have been announced by the Utah State Fairpark to construct a new structure on the state-owned fairgrounds that will be used as the Department of Agriculture’s offices and exhibit space for the fair. The plan threatens two historic structures on the fairgrounds – the historic Administration Building (c. 1920), and the former DMV Testing Facility (1967) designed by Utah modernist architect John Sugden. The historic Administration Building is listed in the National Register of Historic Places and dates to approximately 1920. It has been occupied since its construction by administrative offices for the Utah State Fair. Nearly 100 years of the state fair have been planned and executed from this place, creating memories that span multiple generations. The brick structure exhibits detailing of the Period Revival styles of architecture and are well-maintained. Built in 1967, the State of Utah’s former Driver’s License Testing Facility at the Utah State Fairpark follows Sugden’s design principles of external structural expression and maximum transparency. The structure’s simplicity of rectangular form and materials are its architectural character, with origins in the design principles of Mies van der Rohe, whom Sugden trained under at the Illinois Institute of Technology in Chicago. Many people likely have fond memories of obtaining their first driver’s license in this building. Most recently, the building has been used by the state’s technology division. In 2013, a master plan and market and financial feasibility study was completed for the Utah State Fairpark to assist them in visioning the future of the fairgrounds and reducing reliance on state funding for operations and maintenance. One of the proposals in that master plan was to build a new state office building at the Fairpark, but multiple options being proposed as to its location. The option selected by the Utah State Fairpark is the only option that demolishes historic structures. In order to move forward, the Utah State Fairpark needs the State Legislature to prioritize the project and provide the necessary funding during the 2017 legislative session. If demolition is approved, only ten of the original twenty-seven properties listed in the National Register of Historic Places in 1980 would still be standing. 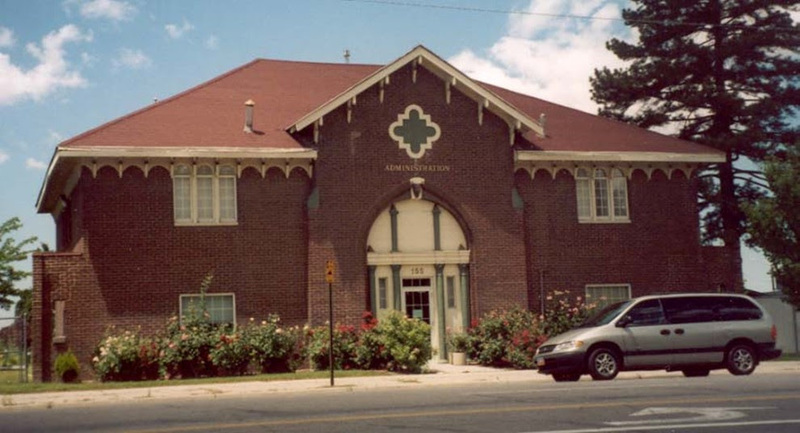 - These buildings are significant to the history, evolution, and story of Utah State Fairpark. Demolition tears out pages from that story forever. 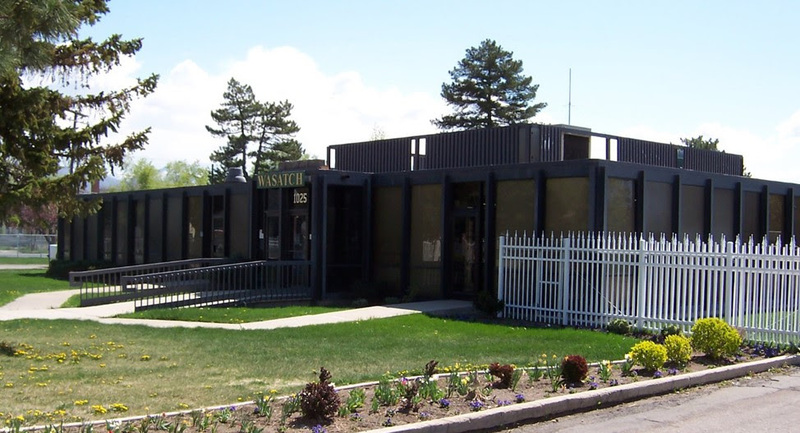 - The former DMV Testing Facility was designed by one of Utah’s foremost designers of the mid-twentieth century, John Sugden, and clearly demonstrates his philosophies of structural expression and transparency which he acquired from training under Mies van der Rohe. The Administration Building is evocative of the historic design of many other structures at Fairpark and has served as the operational office of the Utah State Fair for nearly 100 years. - To our knowledge, full renovation of the historic buildings has not been explored as to their feasibility and cost. Full renovation could lower the cost of maintenance, make them more efficient to operate, and consider new uses if the current tenants are desiring to relocate. - There are site alternatives to construct a new state office and fair exhibit building that do not require demolition of historic structures that should be favored over those that do. - The legislature should not prioritize funding for the new state office building at Fairpark if the proposal will demolish historic structures. Copyright © 2017 Preservation Utah, All rights reserved. You are receiving this newsletter because you have requested it from Preservation Utah.